Dan Allan, Technology Development Coordinator is an Associate Computational Scientist at a national laboratory, where he works on open source data acquisition and analysis software for an X-ray synchrotron and contributes to several open source projects in the scientific Python community. He graduated from Johns Hopkins University in 2014 with a PhD in Physics. He studied physics, music, and applied mathematics at the University of Rochester. 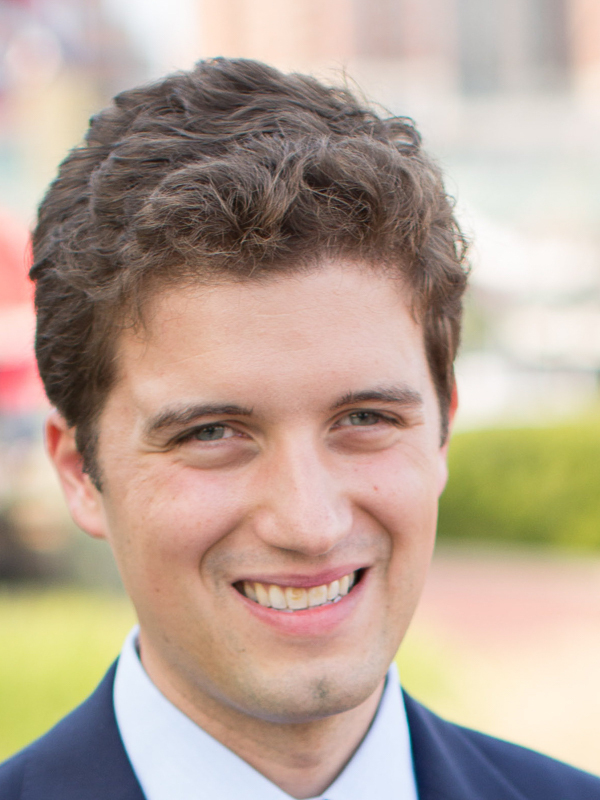 Devin Balkind is the Executive Director of Sarapis, a nonprofit that helps other nonprofit organizations leverage open source tools and techniques to more effectively advance their respective missions. He also serves as the president of the Sahana Software Foundation, a nonprofit organization that produces the world’s most popular open source information management system for disaster relief and humanitarian aid. Devin works at the intersection of the nonprofit sector, the free/libre/open source movement, and grassroots community organizing initiatives to help each benefit from the best practices of the others. 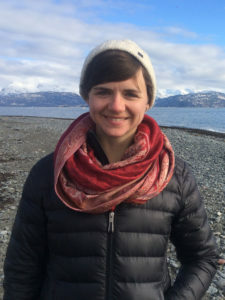 Jennifer Bender is a Boston based environmental scientist actively involved in bridging gaps between scientists, policy makers, the public and other stakeholders when it comes to issues relating to the marine environment and our coastal zones. She holds a Master's degree in Administration and a Ph.D. In Geography and Environmental Science. She teaches as an at the University of Massachusetts, Boston and is a Research Fellow. 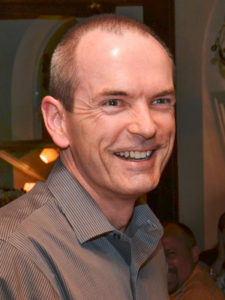 Stephen Bocking is a Professor of Environmental History and Policy in the Trent School of the Environment, Trent University, in Peterborough, Ontario. 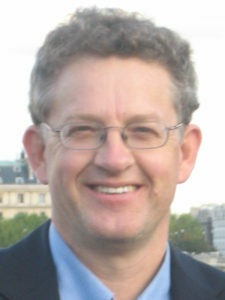 His research interests include the history of environmental science, and the roles of science in environmental politics. Ray Cha is the Software Project Manager for the Web Monitoring project and volunteer with Data Together. 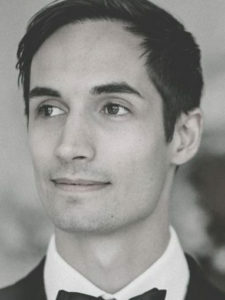 He has been a product manager for the healthcare startup Human Resolution Technologies, a UX designer at Codestreet, a researcher at the Institute for the Future of the Book, education technologist at Columbia University’s Center for New Media Teaching and Learning, and a systems analyst at the Fred Hutchinson Cancer Research Center. 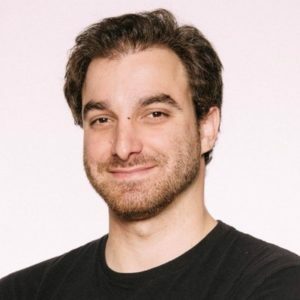 He received a BS in Mechanical Engineering and Engineering & Public Policy from Carnegie Mellon University, and a masters degree from New York University’s Interactive Telecommunications Program. Janak Raj Chadha is an undergraduate student at National Institute of Technology, Nagpur, India. His fields of interest are Machine Learning, Data Science, and Electrical Engineering. 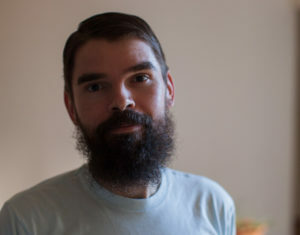 Patrick Connolly, Technology Development Coordinator, is a failed biochemist, a computer programmer, a co-organizer of CivicTech Toronto, and an anarchist sympathizer. He is interested in liquid democracy, the changing nature of work, and how we can build communities and organizations that are more open, inclusive, and resilient. He is a member of the EDGI Archiving working group and coordinates volunteer open source development. Alissa Cordner is an Assistant Professor of Sociology at Whitman College, where she teaches Sociology and Environmental Studies courses. Her research interests include environmental sociology, environmental health and justice, risk and disasters, science and knowledge, social movements, and policy and participation. She is contributing to EDGI's work interviewing current and former EPA employees. 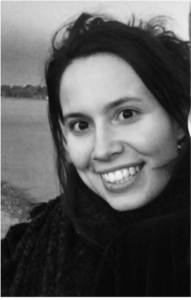 Vanessa De La Rosa is a joint postdoctoral fellow at Northeastern University and the Silent Spring Institute. As a toxicologist, her research is focused on employing genomic technologies and alternative in vitro models to study breast carcinogens. She completed her PhD at the University of California, Berkeley in Molecular Toxicology. She is part of the team interviewing long-term employees at the EPA and OSHA. Sarah D’Onofrio is a PhD student in environmental sociology and political economy at the University of Tennessee- Knoxville. 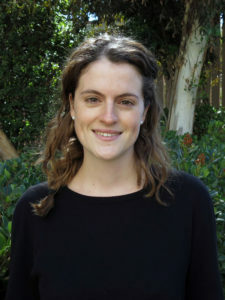 Her research aims to understand the role of law and the state in the creation of environmental problems and inequalities in rural spaces, principally involving water and air pollution from large concentrated animal feeding operations or “factory farms.” Sarah additionally conducts research for EDGI’s Interviewing Working Group. 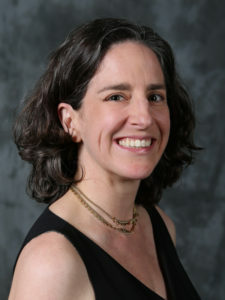 Jill Harrison is Associate Professor of Sociology at the University of Colorado at Boulder. 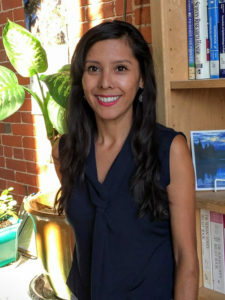 Her research focuses on environmental sociology, sociology of agriculture and food systems, environmental justice, political theories of justice, and immigration politics. 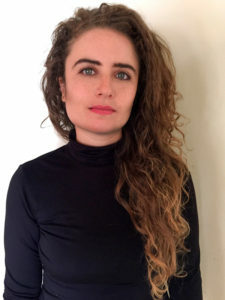 She has used her research on political conflict over agricultural pesticide poisonings in California, recent escalations in immigration enforcement in rural Wisconsin, and government agencies environmental justice efforts to identify and explain the persistence of environmental inequalities and workplace inequalities. She published the award-winning Pesticide Drift and the Pursuit of Environmental Justice (2011) with MIT Press. She is contributing to EDGI’s work interviewing current and former EPA employees. 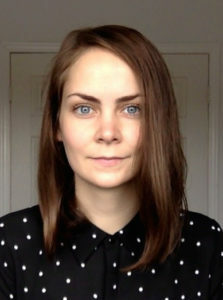 Andrea R. Hindman is a postdoctoral research fellow at Silent Spring Institute and Northeastern University, Boston, MA. She completed her Ph.D. in Molecular Biology at The Ohio State University. Her work prioritizes biological mechanisms that represent and can be used to measure the effects of hormonally-active environmental chemicals on mammary gland development (in animal models) using the weight of scientific literature. She hopes to work with the team interviewing past government employees and the capacity and governance working group. Mike Hucka is a staff scientist at an academic institution, where he leads development of data standards and open source software tools. 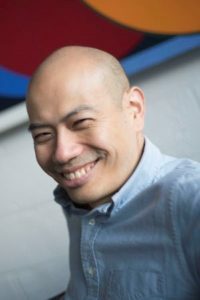 He has a PhD in Computer Science and Engineering, and has worked in many areas ranging from artificial intelligence to computational biology. He is a member of EDGI's Archiving working group, and is interested in developing better systems for preserving scientific research results. 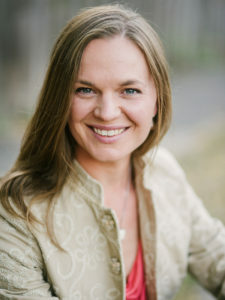 Sara Johns is a Research Fellow at the Stanford Graduate School of Business. 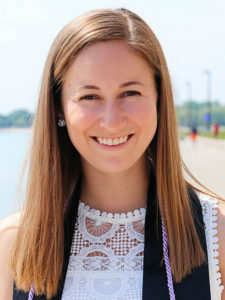 She graduated from Northwestern University in 2017 with degrees in economics and environmental science. Sara's most recent research was on the effect of wind energy on wholesale prices in Texas, and she has also done research on the California electricity market and socially responsible enterprises. Originally from outside of Baltimore, Sara loves cheering on the Ravens and Orioles. Sara is a part of EDGI's Capacity & Governance and Website Monitoring working groups. 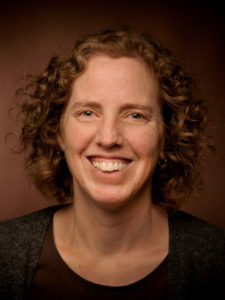 Ellen Kohl is an Assistant Professor of Environmental Studies at St. Mary's College of Maryland. As a researcher and teacher, she is broadly interested in how multiple, intersecting forms of oppression impact human-environment interactions. Her research examines how urban and environmental policies contributes to places of persistent environmental injustice and the social movement strategies activist use to contest these injustice. She is contributing to EDGI's work interviewing current and former EPA employees. 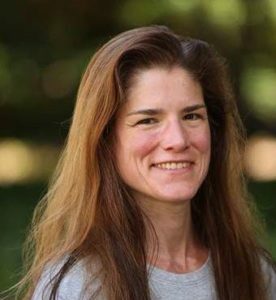 Katherine Kulik is from the greater Boston area and graduated from Harvard College in 2015, with a concentration in the History of Science and secondary in Earth and Planetary Sciences. She traded in pre-med for data science, and now works as an analyst for a boutique D.C. firm analyzing electricity markets. Past projects include research at Dana-Farber Cancer Institute, a summer working at a health clinic in Bavaria, Germany. She loves long-distance bicycling, short-distance running, and exploring DC's rooftop and restaurant scene. Katherine has been involved with the EDGI interviewing project and as a member of the Website Monitoring team. 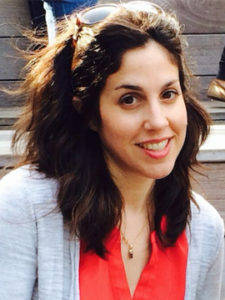 Sarah Lamdan, Director of Legal Research, is an Associate Professor and law librarian at CUNY School of Law. She graduated from the University of Kansas School of Law in 2005 with an Environmental Law Certificate and received a Masters Degree in Legal Information Management from Emporia State University’s School of Library and Information Management. She teaches legal research, lawyering skills, leads FOIA seminars, and has researched and advocated for pesticide safety in city schools, clean energy and waste disposal, and environmentally conscious urban planning. Her forthcoming book, ​Environmental Information: Research, Access & Environmental Decisionmaking​, is published by the Environmental Law Institute. 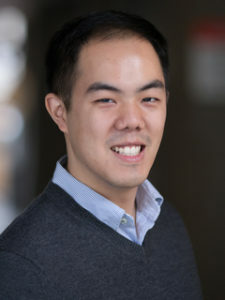 Jeffrey Liu is a PhD student at MIT in Civil Engineering & Computation who works on transportation research, and co-teaches the undergraduate class "Principles of Water and Energy Sustainability." He was the lead organizer for DataRescue MIT, and manages DataRescue Boston. 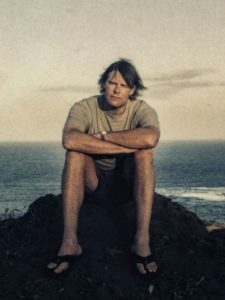 Jamie Lyons is an avid surfer, educator, writer, filmmaker, sailor and stage director who received his AB and PhD from Stanford University. 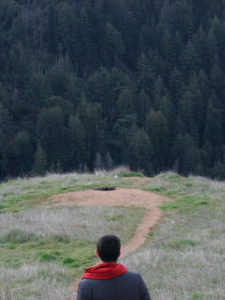 As director of The Iota, he constructs site specific performances of the fragmentary plays of Aeschylus, Sophocles and Euripides highlighting current environmental and social issues. With EDGI he is contributing to their communications strategy. Becky Mansfield is a Professor of Geography at the Ohio State University. Her academic focus is on politics of environmental health and environmental governance, with specific interest in the science and regulation of chemical exposures. Megan Martenyi is a PhD student in the Politics Department at UC Santa Cruz. Brendan O’Brien, Technology Development Coordinator, is a software developer and startup advisor with a focus on social entrepreneurship. He’s currently working on crowdsourced mass-archiving tools and services with EDGI. He founded Process Design, a digital design agency in Toronto, Ontario, before moving to New York. Brendan graduated with an Honours Bachelor of Arts in Visual culture with a minor in Philosophy from the University of Toronto. 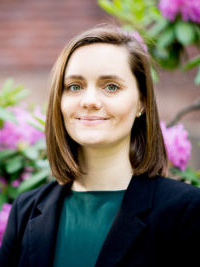 Jennie Liss Ohayon is a Joint-Postdoctoral Fellow at Northeastern University and the Silent Spring Institute, a non-profit environmental health research institute. Her work focuses on the health outcomes of exposures to hormone disrupting chemicals, strategies for engaging communities in health research, and environmental justice policy. She completed her PhD at the University of California, Santa Cruz researching the remediation of toxic waste in military Superfund sites. She is part of the team that is interviewing long-term employees at the EPA and OSHA. 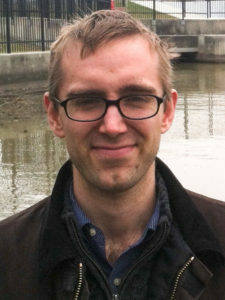 Eric Nost is a PhD candidate in Geography at the University of Wisconsin-Madison. He is a political ecologist who draws on science and technology studies to understand how data governance shapes environmental conservation. Eric is currently following how policy-makers and scientists develop and use computer modelling to plan coastal restoration in Louisiana. He is a member of EDGI's Website Monitoring working group. 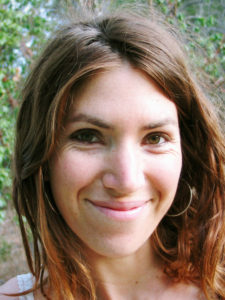 Britt Paris is a PhD Candidate in the Department of Information Studies at UCLA. She is lead author of “Pursuing a Toxic Agenda” the second part of the 100 Days and Counting report dedicated to Environmental Justice under Trump. She has also published on internet infrastructure projects, search applications, digital labor and police officer-involved homicide data evaluated through the theoretical lenses of critical data studies, philosophy of technology and information ethics. Her work with EDGI is focused on Environmental Data Justice. 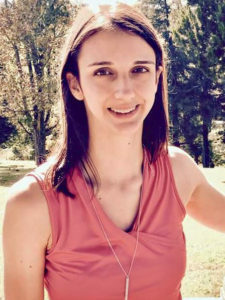 Irene Pasquetto is a PhD Candidate in the Department of Information Studies at UCLA. As a research assistant at the Center for Knowledge Infrastructures, she conducts qualitative research on the uses of open biomedical data. With her research, Irene aims at informing the design of governance models for data and code infrastructures. Her research interests include information economics, infrastructure studies, ethics and value in information design. For EDGI, she participated in the writing of “Pursuing a Toxic Agenda” the second part of the 100 Days and Counting report and co-organized a UCLA DataRescue event. Dan Phiffer is a software engineer, artist, and educator working on tools that have social impact, and helping others to do the same. He makes maps, creates software for making maps, and generally likes being surrounded by maps. Dan is an Impact Resident at Eyebeam and a Entrepreneur in Residence at Civic Hall. 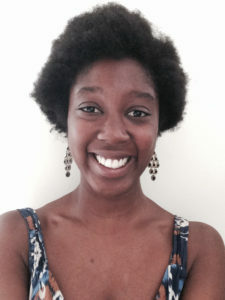 Jennifer Pierre is a PhD Candidate in the Department of Information Studies at UCLA, focusing in computer-mediated communication and social informatics. Her work examines how people use information and communication technologies (ICTs) to form and maintain communities. She uses ethnographic and mixed methods to identify how youth use social media for social support, and how various groups use data for communal participation. Within EDGI, Jennifer channeled her interest in climate data use for scientific and activist community building to contribute to “Pursuing a Toxic Agenda” the second part of the 100 Days and Counting report and a UCLA DataRescue event. 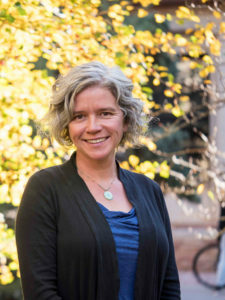 Liza Piper is an Associate Professor at the University of Alberta in Edmonton where she teaches environmental history and the histories of northern and western Canada. Her publications include The Industrial Transformation of Subarctic Canada (2009) and Sustaining the West: Cultural Responses to Canadian Environments (2015) an edited collection of eco-criticism, art, poetry, and environmental history. 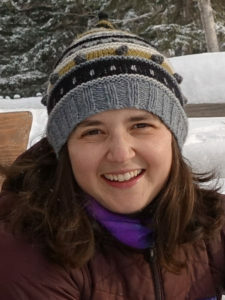 Her research and writing examine the histories of health and environmental change, natural resource exploitation, and science. Grace Poudrier is a member of the Social Science Environmental Health Research Institute (SSEHRI) and a PhD student in the Department of Sociology & Anthropology at Northeastern University. She is interested in how embodied illness experience and citizen science are deployed to challenge orthodox science and knowledge-making practices, as well as to evince corporate accountability for chemical and environmental harms. Lindsay Poirier is a cultural anthropologist and PhD Candidate in Science and Technology Studies at Rensselaer Polytechnic Institute. Through the lens of feminist language theories, her research examines how practitioners in environmental health and human services develop standards and structures for integrating data collected for different purposes, at different times, and embodying different cultures. 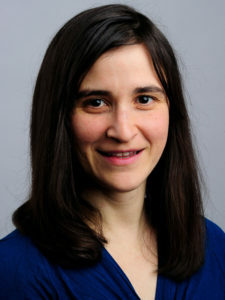 In her fieldwork she has examined the logics that have guided the development of many Semantic Web frameworks and how the frameworks have been adopted in domain communities. She is also the lead platform architect for the digital humanities platform, the Platform for Experimental Collaborative Ethnography (PECE) and a co-chair for a working group on Metadata for the Empirical Humanities through the Research Data Alliance. 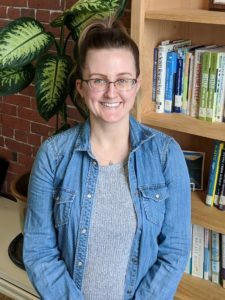 Lauren Richter is a PhD Candidate in Sociology at Northeastern University and a member of the Social Science Environmental Health Research Institute. Lauren studies scientific controversies around chemical exposure and human health effects. Her dissertation examines the discovery of per- and polyfluoroalkyl substances (PFASs), a class of chemicals in widespread use since the 1950s. She is a Switzer Foundation Fellow, and received a National Science Foundation Doctoral Dissertation Improvement award in 2017. She contributes to the EDGI interviewing project. 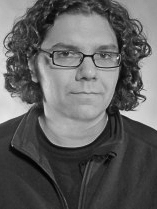 Justin Schell is the Director of the Shapiro Design Lab, a peer learning and project design community at the University of Michigan Library. Passionate about all things community and citizen science, he has helped organize Data Rescue events across the country. He is also the founder of the Minnesota Hip-Hip Archive at the University of Minnesota Library and is the director of “We Rock Long Distance,” a documentary film weaving together the lives and music of three Minnesota hip-hop artists with roots far beyond the state’s borders. He has a PhD from the University of Minnesota’s Comparative Studies in Discourse and Society. Kyala Shea studied physics and botanical informatics and works as a technologist in the publishing industry. She helps produce EDGI’s long-form reports, including 100 Days and Counting, and facilitates development with the Website Monitoring working group, most recently as a mentor for one of EDGI’s 2017 Google Summer of Code open source development projects. Elizabeth Stanny is a Professor of Accounting at Sonoma State University. Her research interests include climate change and political disclosures. 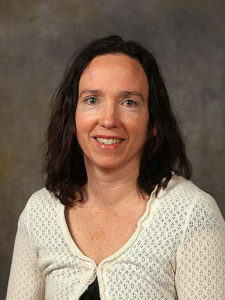 Marianne Sullivan is an Associate Professor of Public Health at William Paterson University of New Jersey. She received her PhD in Public Health from Mailman School of Public Health at Columbia University and a Master of Public Health degree from the University of California, Berkeley. Prior to working in academia, she was an epidemiologist at Public Health - Seattle & King County, where she worked on many community based participatory research projects. Her book, Tainted Earth: Smelters, Public Health and the Environment(2014) was published by Rutgers University Press. She has published numerous peer-reviewed papers on occupational and environmental health and community based participatory research. Vivian Underhill is a PhD student in Feminist Studies at the University of California, Santa Cruz. She work on environmental justice questions related to oil and gas drilling along Alaska's Northern Slope. Vivian is a member of the Capacity & Governance working group on rapid academic analyses of political events. Julia Upfal joined EDGI in June of 2017 as a part of the web monitoring team. 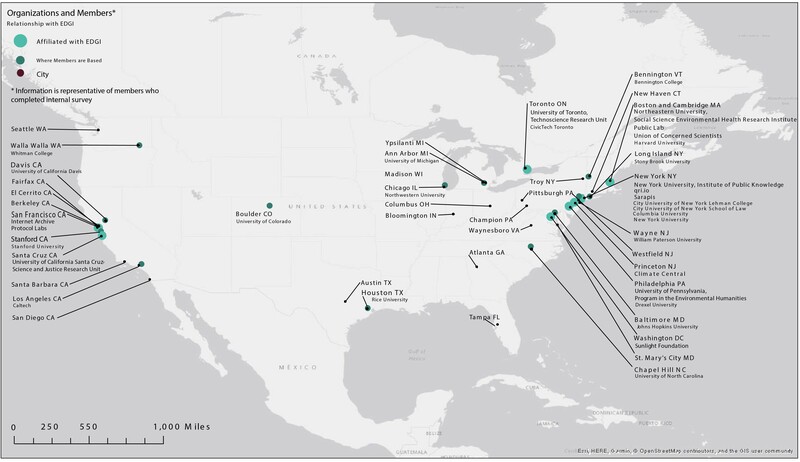 Julia’s background in urban planning and economic development shaped her relationship with public sector data and information. 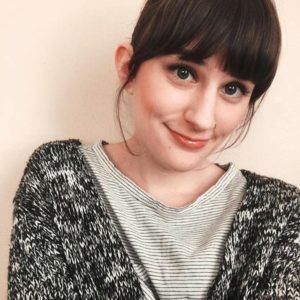 Julia is an alumni from Wayne State University and the University of Michigan; she currently resides in Ann Arbor, Michigan where she works as a Business Development Manager for Ann Arbor SPARK. Dawn Walker is a PhD student at the Faculty of Information, University of Toronto. Her research focuses on citizen participation in technology design practices, in particular for environmental advocacy. Sitting at the intersection of the technology design, information practices, and civic engagement, her research bridges socio-technical design approaches with critical social science inquiry. She is a member of the EDGI Archiving working group developing approaches to preserve and track changes to federal environmental data. Tyler Wedrosky graduated with a BA in Urban Planning with minors in Disaster Risk Reduction and Environmental Policy from Western Washington University in Bellingham, WA. He is committed to protecting the sanctity of the earth's natural resources, whilst identifying how problems can be solved by mobilizing individuals, institutions, and organizations to achieve the best environmental outcomes. 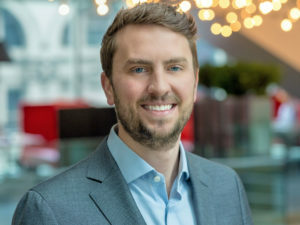 Jake Wylie studied economics and political science at the University of Michigan and recently completed an MBA from NYU Stern where he focused on technical entrepreneurship and international business. He works in the financial services industry in New York and helps coordinate EDGI's Website Monitoring team.